Jan. 25, 2019 – Happy 542nd anniversary of the birth of Anne of Brittany — a female role model for leadership for all times. 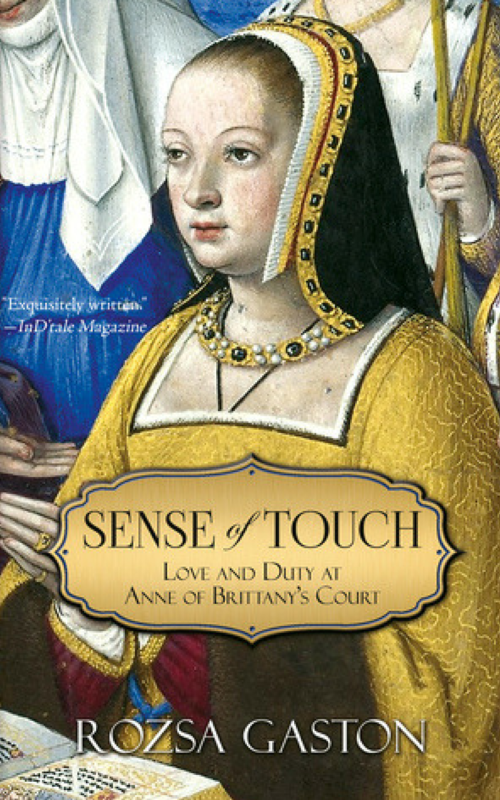 Discover her in Sense of Touch, prequel to the Anne of Brittany Series. Discover the story of Anne of Brittany’s marriage to Charles VIII, King of France, in Anne and Charles, Book One of the Anne of Brittany Series. Anne and Louis, Book Two of the Anne of Brittany Series, comes out Nov. 29, 2018. Delve into the world of 1499 France as the feudal era passes and Europe hurtles toward the Renaissance. Join Anne of Brittany, Queen of France, and Louis XII, King of France, as they host Cesar Borgia and Niccolo Machiavelli at their royal court. Discover Anne’s maids of honor as they read the works of medieval female writers Christine de Pizan and Marie de France, some on the curriculum, some not. Learn self-confidence, self-possession, and firm decision-making from France’s queen and Brittany’s ruler Anne of Brittany, who reaches across the centuries and offers a role model to women in leadership today. book in the Anne of Brittany series—will find a compelling continuation of the saga in this story of Anne, the Duchess of Brittany, who has a country to run even as her lover Louis has a controversial annulment to pursue in order to fulfill his romance with Anne. Even more complicated are the politics which dictate their romance and relationship. 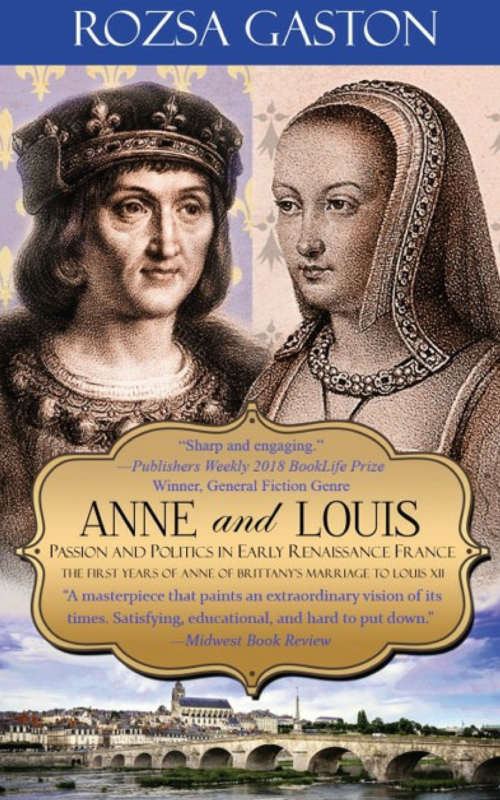 This is an overlay which creates seemingly insurmountable controversies between the couple and their individual political circles, and is deftly explained by Rozsa Gaston, whose saga assumes no previous knowledge of Anne of Brittany, Louis XII, or French history and politics. This makes the tale accessible to both history buffs and those with a milder familiarity with the era. At age 21, Anne was both a widow and the ruler of a kingdom, as committed to maintaining Brittany’s independence from France as she was in seeing her relationship with Louis become a bond between their countries. Their struggles in 16th-century Europe on the cusp of the Renaissance era come to life as Anne finds herself caught between love and country. Chapters don’t just build the characters and explore the issues between Anne and Louis, but also probe their world. Thus, the romances and relationships between others are also presented within the context of the social mores of their times (“When he looked up, Charlotte of Naples and Aragon was floating toward him in the full glory of her youth and serene beauty. He felt himself in the presence of a goddess. One day such a glorious creature would grow into a woman like his mother or the duchess Anne. For such a woman, an offer of marriage must follow a kiss. But first, a kiss. Her father would kill her; her mother would roll over in her grave. She had allowed him to take her hand.”). All this means that the story about a changing society as the Renaissance gets started is given a personal touch that brings the entire era to life through Anne’s eyes and the experiences of those who interact with her. The result is a powerfully-written saga that requires only an interest in a compelling love story and its historical background to prove satisfying, revealing, educational, and hard to put down, all in one. Quite simply, Anne and Louis is a masterpiece that paints an extraordinary emotional and political vision of its times, capturing the facets of a social and political milieu that all too often is regulated to dry facts devoid of emotion. Anne and Louis, Book Two of the Anne of Brittany Series, comes out Nov. 29, 2018. Pre-order here. 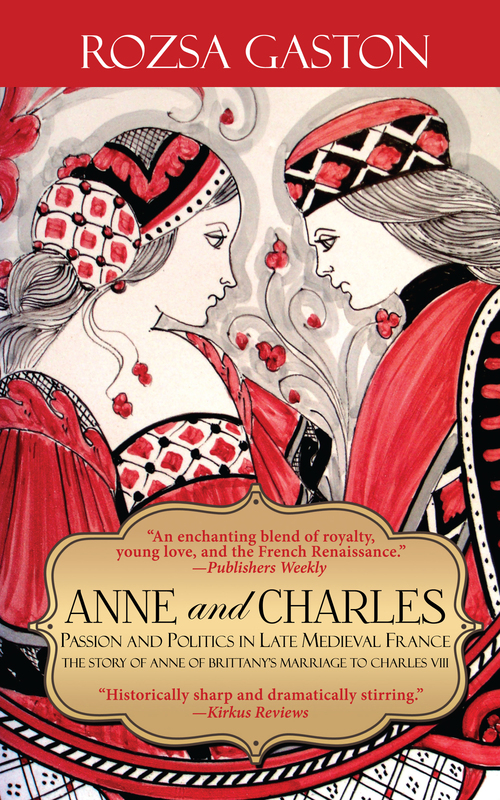 To begin your discovery of Renaissance ruler Anne of Brittany, read Anne and Charles, Book One of the Anne of Brittany Series.